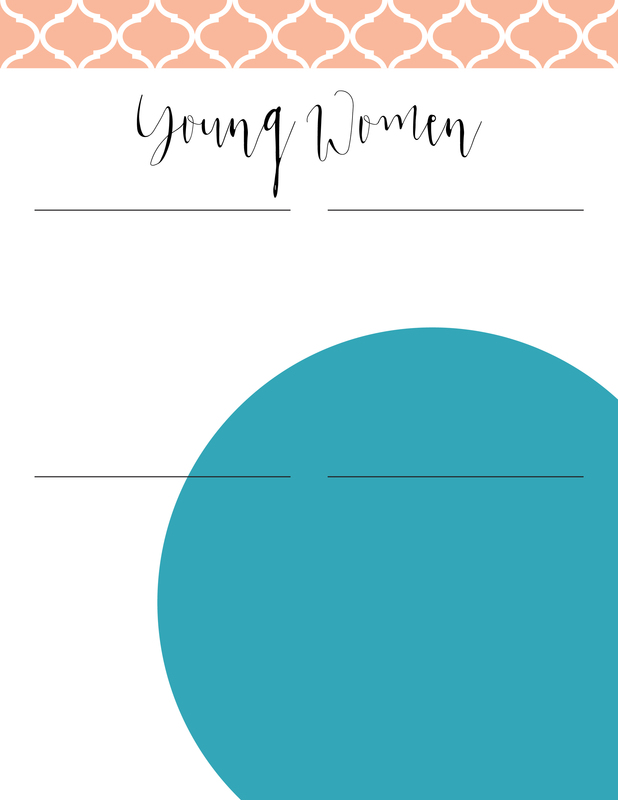 These so easy-to-use newsletter templates make communicating with your Young Women quick and fun! My download includes TWO different template versions, each in EIGHT different color combinations (to match the YW Values). To customize an editable PDF file, you will need to download Adobe Reader (if you don’t already have it), a free program. Open the editable PDF (File>Open). Click on the text field you want to customize. Type in your information. PLEASE NOTE: Font type, size, color and orientation all are pre-selected for you and cannot be changed. Click in another text field and type in your information. Repeat for all text fields. Print or email to your readers. NOTE: If your readers will be viewing the edited file on a mobile device, they will need to have the most recent version of Adobe Reader installed. 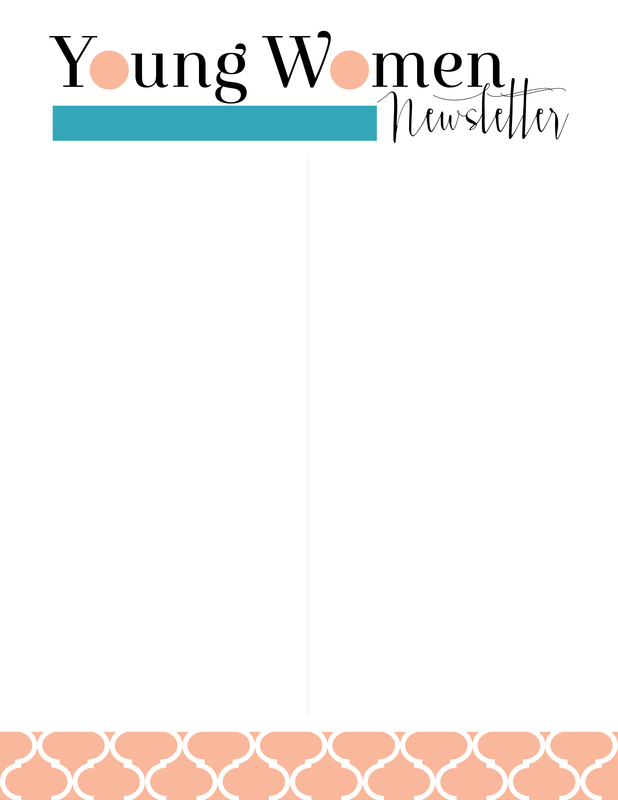 Because I’ve included two versions and eight color variations for a total of 16 different newsletter templates, you can use a different one each month, a different one for each quarter or even a different one for each class. Get creative! 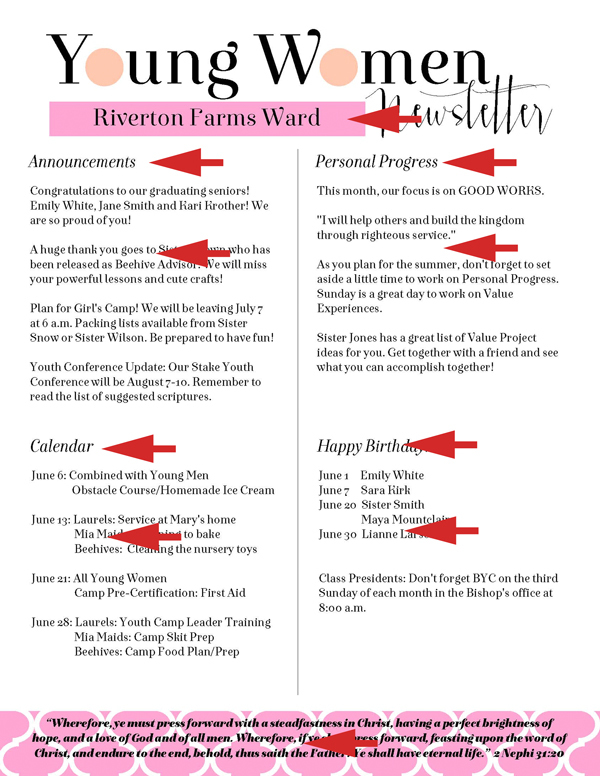 You can download my YW Values Now Collection Newsletter Templates here. 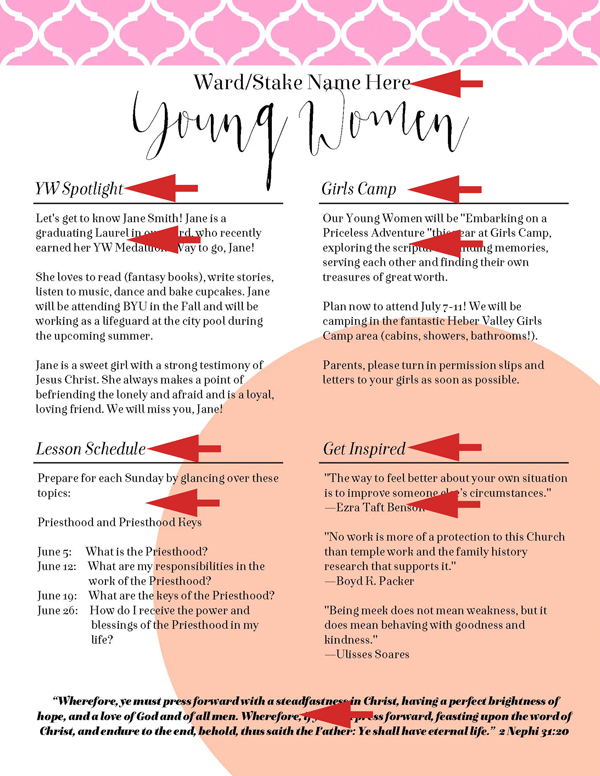 Watch this blog in the coming weeks for more coordinating YW Values Now Printables. I love these! My only question is, can I save my edited version? I keep getting a pop up stating only a blank copy can be saved? You should be able to save them. In older versions of Adobe Reader, you couldn’t save. Do you have the most recent version? Thanks! I thought i had the most recent but I was wrong lol! Hi Heather! Those who are having problems seeing the PDF need to make sure they are using the most updated version of Adobe Reader. (They may need to make sure they are using the Adobe Reader app, not a different app.) That usually makes it so they can see the editable PDF. Hey Heather, is there any way we could edit where it says Young Women and put Relief Society? I’d love to use these for our Relief Society newsletter, they are great!